This Kershaw Ken Onion Scallion, Model 1620BL, has a 420HC stainless steel 2.25 inch blade with a T6 anodized blue aluminum handle. The Speed-Safe torsion bar assisted opening allow this knife to be opened with one push. 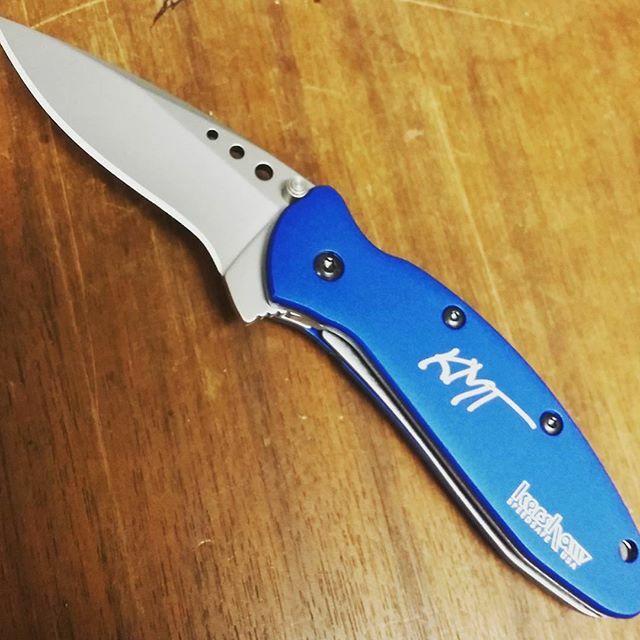 When closed this 2.3 oz Kershaw knife is 3.5 inches long. The Kershaw Scallion is slightly larger than the Kershaw Chive and a little smaller than the Kershaw Leek.